Braintree is credit card processor that doesn’t charge any fees for your first $50k of donations. This article will help you install and configure this Add-on so you can accept donations with the Braintree Gateway quickly and easily. In order to accept payments with Braintree using Give you will need to have an active Braintree account (sign up at their website. ), the Braintree Add-on for Give, and the Core Give plugin installed and activated. See here for instructions on installing and activating Give Add-ons. After your Braintree Add-on is activated, go to “Donations > Settings” and click on the Payment Gateways tab. 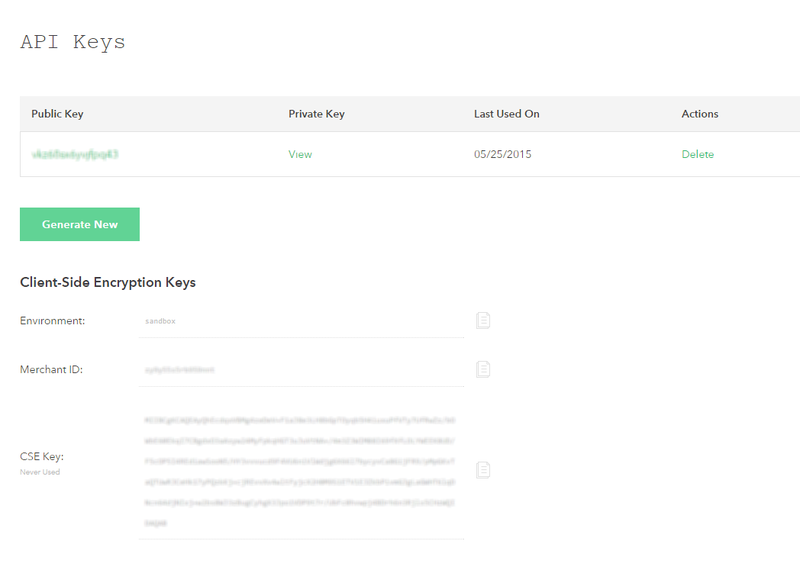 There you will see the default Payment Gateways (PayPal Standard, Test Payment, and Offline Donations). You should also see Braintree as an option as well. Click on that to enable Braintree as your payment Gateway for your website. Copy this information to a safe place. Now let’s get your Merchant Account ID. 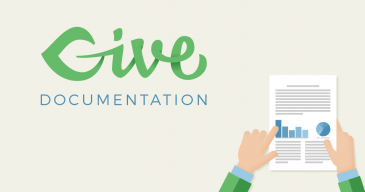 Now that we have collected the necessary information you’re ready to integrate your Braintree account with Give. 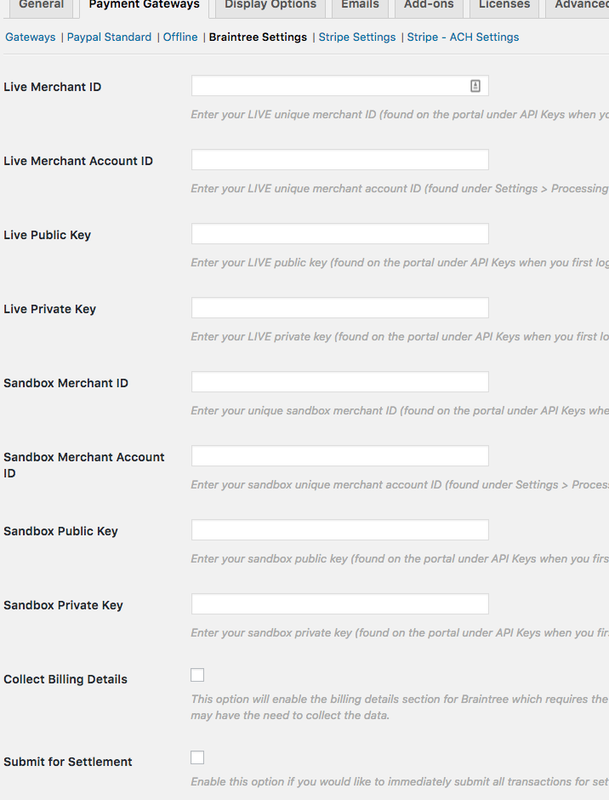 Copy each field from the previous steps into the appropriate fields within the Payment Gateway settings. Important: Ensure there are no blank spaces when copy-and-pasting your keys into the gateway settings. It’s a good idea to test out a gateway before placing it on a live site. This ensures no donations are lost due to unforeseen errors or issues. So, how do you test Braintree? Confirm that the donation is reflected in the Braintree admin dashboard and within Give’s transactions.